These days, thousands of people promote themselves as psychics, mediums, or channellers, and many make a good living from their practice or writings. 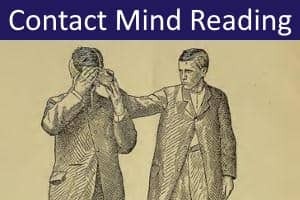 In some cases, these people have undertaken formal training and testing in mediumship or psychism with one of the spiritualist organizations or private psychic colleges. Others, however, are untrained and merely self-proclaimed. Such 'psychics' (typically those offering their services locally, or using online services) usually rely on testimonials from satisfied clients to advertise their abilities. Many psychics and mediums are sincere in their beliefs, and can provide helpful guidance and support. Others, however, are either self-deluded or willful con artists. Charlatans can often be identified from their exaggerated, misleading, or false claims, and occasionally they may be caught cheating. In the burgeoning psychism industry, it is definitely a case of 'buyer beware'. 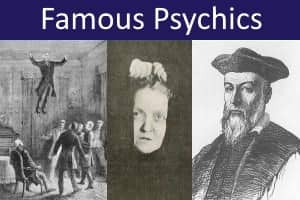 This historical and contemporary list of psychics and mediums is not intended to be exhaustive (nor could it be), but rather presents some of the most famous, and sometimes infamous, cases. 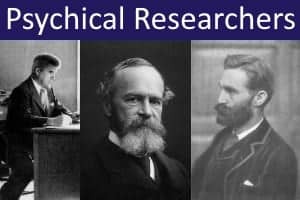 The focus is on people whose abilities have been investigated by psychical researchers and parapsychologists, or where there are other reasons for considering the person to be particularly notable, interesting, or significant. Note that this list does not include religious figures, spiritual teachers, occultists, hypnotists, or astrologers unless they also appear to show evidence of significant psychic, mediumistic, or channelling abilities. Also not included are mentalists and psychic entertainers known or presumed to be using psychological or magicians' techniques. Derek Acorah is a controversial British psychic and medium, best known for his television appearances, especially on the paranormal reality series Most Haunted. Alice Bailey was an English-American writer on spiritual and esoteric topics. She claimed that most of her writings were dictated telepathically by a discarnate Master known as 'The Tibetan'. In 1922 she founded The Lucis Trust as a publishing house for her books, and as a school of esoteric training. Alan and Diana Bennett are the two mediums who took part in the controversial Scole Experiment in Norfolk, England (1993-1998). 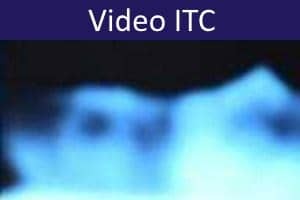 This modern-day example of physical séance room phenomena was extensively investigated by members of the Society for Psychical Research who published a detailed report on the case (1999). 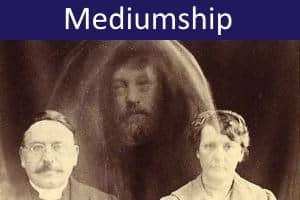 Opinions are divided about the genuineness of the mediumship. H.P. 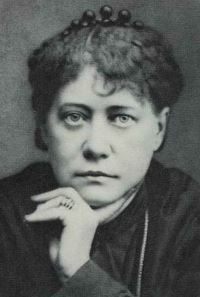 Blavatsky (Madame Blavatsky) was a Russian medium who co-founded the Theosophical Society in 1875. She claimed to have received doctrinal instruction and training in psychic powers from Masters, or 'Mahatmas' who appeared to her in visions and whom she encountered in person. She wrote the seminal texts of Theosophy, Isis Unveiled (1877) and The Secret Doctrine (1888). Her paranormal claims were investigated by psychical researcher Richard Hodgson. 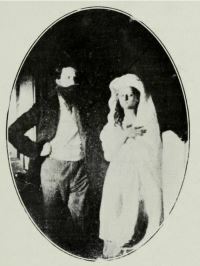 His report, published by the Society for Psychical Research, concluded that she had engaged in fraudulent activity. Rosemary Brown was an English medium who wrote hundreds of musical works that she claimed had been dictated to her by the spirits of several famous composers, including Liszt, Debussy, Brahms, Beethoven, Bach, Mozart, Chopin, Schubert, Rachmaninoff, and Stravinsky. Although Brown's works are similar in style to those of these composers, critics have judged them to be musically unremarkable. Sylvia Browne was an American psychic, well-known from television and radio appearances. In her work as a psychic detective, she made a number of predictions about missing persons. Most of these were later shown to be false. Eva Carrière (Eva C.), born Marthe Béraud, was a French physical medium. Her séances were noted for the production of apparent ectoplasmic forms. She was investigated by several psychical researchers, most of whom concluded that her ectoplasmic phenomena were fraudulent. Cheiro is the pseudonym adopted by Irish clairvoyant, astrologer, fortune teller and author William Warner. He had many high-profile clients, mainly using palmistry to give character readings and make predictions. Several of his books on astrology, palmistry, and numerology remain in print today. 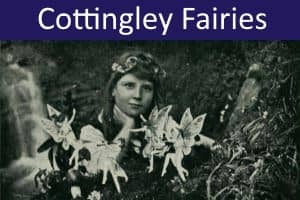 Florence Cook was a English medium who claimed to materialize the spirit of 'Katie King'. Her séances were investigated by the eminent scientist Sir William Crookes whose 1874 report indicated that she was genuine. Most later commentators conclude that she was fraudulent, that Crookes was duped or complicit, and that the séance appearances of 'Katie King' were either of Florence in disguise, or an accomplice. Winifred Coombe Tennant (née Pearce-Serocold) was a British suffragette, Liberal campaigner, and spiritualist medium. Practicing under the pseudonym 'Mrs Willett', she was one of the principal automatist mediums involved in the elaborate series of spirit communications known as the Cross-Correspondences. Mina Crandon (née Stinson) was a controversial Canadian-American physical medium. Referred to by researchers as 'Margery', her spirit control was her dead brother, Walter. Her physical phenomena included sounds and voices, object movements, table-tilting and apparent ectoplasmic forms. 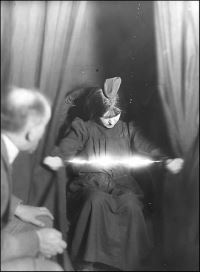 In 1924, Margery was tested for a prize offered by Scientific American magazine to a medium who could demonstrate telekinetic phenomena under scientifically controlled conditions. Harry Houdini and some other members of the investigation Committee claimed to have discovered her cheating by freeing a hand or foot. While the accuracy of this evidence has been disputed, Margery's reputation never recovered and her mediumship is widely considered to have been fraudulent. Gerard Croiset was a Dutch psychic who worked with the Dutch police on missing person and murder cases. The accuracy of his predictions has been questioned by investigators and sceptics. Geraldine Cummins was an Irish medium and writer on psychic and religious themes. She channeled much of her material using automatic writing from 'Astor', her alleged spirit guide. Investigators have suggested that her communications were based on prior knowledge, or were products of her unconscious mind. Pearl Curran was an American psychic who channelled a remarkable series of novels, prose and poetry, apparently from the spirit of a 17th century English woman named 'Patience Worth'. Initially the communications came using a Ouija Board, but Curran soon progressed to automatic writing. She was investigated by several psychical researchers. No documentary evidence that Patience Worth existed has been found, and most commentators conclude that Patience was a dissociated alter ego, or a product of Pearl's own suppressed imagination. Jeane Dixon was an American psychic and newspaper astrologer, known for her predictions of world events, including the assassination of John F. Kennedy. The 'Jeane Dixon Effect' is named after her, referring to focussing on a few correct predictions while ignoring the many failures. Allison DuBois is an American medium and writer. She claims to be able to communicate with deceased persons and to have helped law enforcement agencies solve crimes. The television series Medium (2005-2011) is based on her life and experiences. 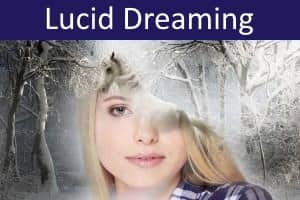 She has been investigated by researchers, but there is no clear consensus on whether she exhibits genuine psychic abilities. 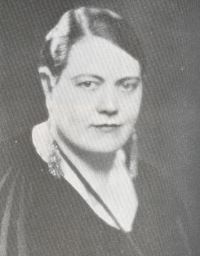 Helen Duncan was a Scottish clairvoyant and physical trance medium. She was investigated by several researchers who concluded that the apparent 'ectoplasm' produced at her séances was cheesecloth or paper. She was famously the last person to be imprisoned under the British Witchcraft Act of 1735, for engaging in fraudulent mediumship. John Edward is an American psychic medium and television personality. Critics suggest that he undertakes prior research to find out information on participants in his shows (hot reading), as well as using techniques of cold reading. Harry Edwards was a prominent British spiritualist, spiritual healer, and author. He claimed to be in touch with the spirits of dead physicians who assisted in his healing work. Most of his patients were also receiving other medical treatment and sceptics have cast doubt on whether cures could be reasonably attributed to his interventions. The Witch of Endor is a woman described in the Hebrew Bible as summoning the spirit of the prophet Samuel to advise King Saul. Alice Fleming (née Kipling) was the sister of Rudyard Kipling. Under the pseudonym 'Mrs Holland', she was one of the principal automatist mediums involved in the elaborate series of spirit communications known as the Cross-Correspondences. 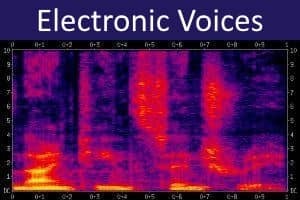 Leslie Flint was a British direct-voice medium. His séances were held in complete darkness, during which voices could be heard, and recorded. Many purported to be from famous people, including Winston Churchill, Mahatma Gandhi, Arthur Conan Doyle and Queen Victoria. Critics have accused Flint of producing the voices using ventriloquism, pre-recorded tapes, or other fraudulent means. Arthur Ford was an American psychic and trance medium. He is best known for his séances with Bess Houdini (Houdini's widow) in which he claimed to be in contact with both Houdini and Houdini's mother. He is widely suspected of fraud. 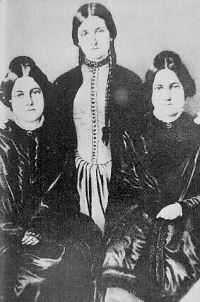 The American Fox sisters are famous as being responsible for the birth of Spiritualism. In late 1847, John D. Fox, with his wife and two youngest daughters Margaretta (Maggie) and Kate, moved from Rochester NY to a cottage in nearby Hydesville. The house had a reputation for strange noises and, in March 1848, rapping and other noises increased in intensity. The two girls began imitating the sounds and found that the rapping would answer back. Using raps, they devised a code to communicate with the entity, who identified himself as the spirit of a peddler who had been murdered in the house and buried in the cellar [several decades later, in 1904, a human skeleton was reportedly found hidden between walls in the cellar, although the authenticity of this account has been questioned]. Kate and Maggie were moved out of the house, but the raps reoccurred in their new homes. The phenomena aroused great local interest and the two sisters began holding demonstrations and public séances. Within two years, they had become famous and other groups sprang up around the country, emulating the Fox Sisters' séances. 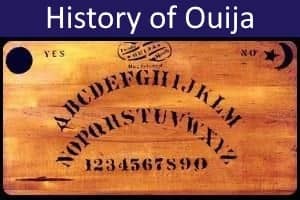 Combined with religious ideas about the afterlife, these developed into the spiritualist movement that swept the US and Europe in the latter decades of the 19th century. Early critics concluded that the girls were producing the raps themselves by cracking their toes, ankles and knees. The sisters were investigated by several researchers, most of whom believed the raps were produced fraudulently. In 1888, Margaretta confessed to the fraud and gave a public demonstration of how she could make the noises by cracking her toe joints. However, the following year, she recanted this confession. The authenticity of the Fox Sisters' mediumship remains a contested issue. Colin Fry was an English television presenter, psychic and medium. Sceptics argue that he relied mostly on cold reading techniques. Eileen Garrett was an Irish medium who was investigated by J.B. Rhine and other researchers. 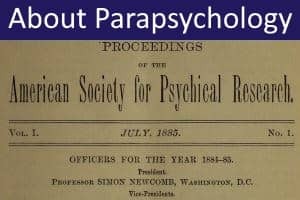 She founded the Parapsychology Foundation in 1951 to support scientific investigations into psychic abilities. Uri Geller is an Israeli psychic entertainer and consultant, best known for his television demonstrations of apparent psychokinesis (especially spoon bending) and telepathy. He has been endorsed by several parapsychologists who investigated his abilities. However, sceptics and magicians suggest that he uses conjuring techniques to achieve his effects. Kathleen Goligher was an Irish physical medium whose séance phenomena included levitations and apparent ectoplasm. She was investigated by psychical researcher William Jackson Crawford who wrote a series of books about the 'Goligher Circle' and concluded she was genuine. However, Crawford's investigations were seriously criticized for their lack of scientific controls. Kathleen Goligher's mediumship is now generally recognized as fraudulent. Rosalind Heywood was a British parapsychologist and psychic. She wrote several books on psychic experiences and psychical research. Gordon Higginson was a prominent British spiritualist medium. He was well known for giving platform readings. He also gave séances with physical phenomena, including ectoplasm and direct voice. From 1970 until his death in 1993, he was President of the Spiritualists' National Union (SNU). His platform demonstrations have been criticized for the possible use of prior information about members of the audience (hot reading). He was also accused of faking ectoplasm using cloth. D.D. Home (pronounced Hume) was a Scottish and American clairvoyant and physical medium who was celebrated throughout the US and Europe for his séances. These regularly took place at short notice, in houses of the gentry and aristocracy, and in dim lighting rather than darkness. Home did not charge for his séances, but accepted hospitality and gifts from his wealthy patrons. 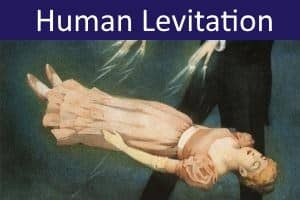 As well as regular mediumistic phenomena such as clairvoyance and spirit communications, Home's séances sometimes included direct voice and other auditory phenomena, object movements, handling live coals, materializations, shaking of the room, and, most famously, bodily elongations and self-levitation. Home was investigated from 1870 to 1873 by the eminent scientist Sir William Crookes who concluded that his psychic abilities were genuine. However, Crookes' investigations have been criticized by some for their apparent lack of scientific rigor. It is also reported that Home was caught cheating on several occasions, though the evidence for this is unclear. Home was himself highly critical of fraudulent mediums and described some of their methods in his writings. Irene Hughes was an American psychic who appeared regularly on radio and television. She is particularly known for her predictions of political and world events. Peter Hurkos was a Dutch clairvoyant and psychic entertainer. He claimed to have assisted as a psychic detective in many criminal investigations, though the accuracy of the information he gave to police is questionable. Critics have also pointed to evidence of his extensive use of cold reading techniques. Indriði Indriðason was an Icelandic spiritualist medium. His phenomena reportedly included automatic writing, direct voice, auditory and visual effects, materialization and dematerialization, teleportation and self-levitation. He was investigated by several Icelandic researchers who concluded that his abilities were genuine. Their experiments have, however, been criticized by some as insufficiently scientific. Sir Edward Kelley was an English spirit medium and reputed alchemist who famously summoned spirits or 'angels' in magical workings conducted with Dr John Dee, court astrologer and adviser to Queen Elizabeth I. The angels communicated with Kelley through a crystal or mirror, used for scrying, and messages were dictated in a unique 'angelic' or 'Enochian' language. George King was a British quasi-religious leader and writer who founded the Aetherius Society in the 1950s. He claimed to receive spiritual teachings in telepathic communications from various extraterrestrial 'Cosmic Masters' as well as messages from alien civilizations. Nina (Ninel) Kulagina was a Russian housewife who claimed to have psychokinetic powers. She was investigated over many years by Soviet researchers and films were made that apparently show her moving small objects and compass needles. Sceptics claim that she was caught cheating on several occasions. Marie Anne Lenormand was an influential French fortune teller and writer. She specialized in card readings (cartomancy) and claimed to have given advice to many famous people, including leaders of the French Revolution. 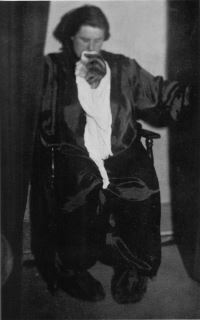 Gladys Osborne Leonard ('Mrs Leonard') was a spiritualist trance medium who was investigated extensively by the Society for Psychical Research. Her spirit control was an Indian woman called Feda. Feda and Mrs Leonard often used 'book tests' in which extracts from books were chosen that had special significance for the sitter. Although many of her séance communications were accurate, sceptics have suggested that much of the information was acquired normally. Most commentators also believe Feda to be a dissociated personality rather than a discarnate spirit. Matthew Manning is a British psychic, healer, and author. 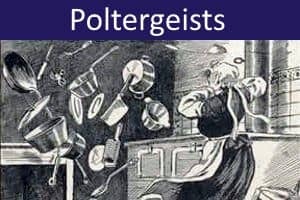 Early in life he was the focus of apparent poltergeist manifestations at home and school. These included object movements and materialization, electrical disturbances and scribblings appearing on walls. Manning later learned to control these outbreaks by developing ability in automatic writing. He also produced a series of remarkable automatic drawings and paintings in the style of several famous artists, including Albrecht Dürer, Aubrey Beardsley, and Pablo Picasso. Manning has also demonstrated apparent abilities in extrasensory perception and psychokinesis. These have been tested by several researchers with mixed results. Joseph McMoneagle is a retired US Army officer, remote viewer and author. As 'Remote Viewer No. 1', he was one of the first recruits to the secret Stargate Project (1978-1995) to investigate the possible military applications of psychic abilities that was established by US Army Intelligence in collaboration with SRI International. Sally Morgan ('Psychic Sally') is a controversial British television and stage psychic. Mother Shipton is the name given to a semi-legendary English prophetess. She is usually identified with Ursula Southeil (or Sontheil) reportedly born in Knaresborough, Yorkshire about 1488. Her young mother is said to have raised Ursula in a cave for two years before the child was taken in by a local family. According to the story, Ursula married Tobias Shipton, a carpenter from York. Tobias died a few years after. 'Mother Shipton', as she became known in later years, administered traditional remedies and gained a reputation as a witch, soothsayer and prophetess. Her supposed prophecies were not published until 1641, 80 years after her reported death. Various editions have since appeared. These are of uncertain provenance, and include later fabrications. Mother Shipton's Cave at Knaresborough remains a popular tourist attraction. 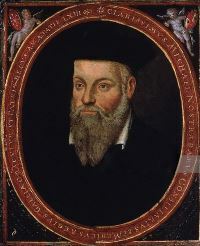 Michel de Nostradame (Nostradamus) was a French physician and seer who published books of cryptic prophecies, many of which refer to natural disasters and political upheavals. The prophecies are obscure and open to multiple interpretations. With some imagination and with the benefit of hindsight, some have credited Nostradamus with predicting major historical events such as the Great Fire of London, the French Revolution, the rise of Adolf Hitler, and the September 11 terror attacks. The Oracle of Delphi (aka The Pythia) was the High Priestess of the Temple of Apollo at Delphi. She was the preeminent Oracle of ancient Greece and gave inspired oracular readings and prophecies to supplicants. It is now widely believed that a hallucinogenic substance may have been responsible for the Pythia's visions. 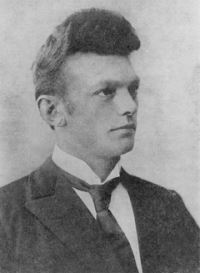 Stefan Ossowiecki was a Polish chemical engineer and psychic. His reported abilities include seeing auras, clairvoyance, telekinesis, and astral projection. His clairvoyance is reported to have been confirmed by researchers in experiments conducted under scientifically controlled conditions. The methodology of these experiments has, however, been criticized by some. 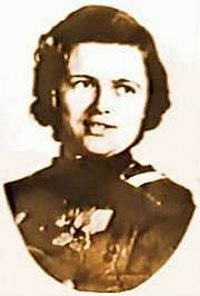 Eusapia Palladino was an Italian physical medium. Her séance phenomena included object movements, ectoplasmic forms, and table levitations. She was investigated extensively by psychical researchers in several countries. Often caught cheating, most researchers have concluded that the majority, if not all, of her phenomena were produced fraudulently. Leonora Piper (née Simonds) [aka 'Mrs Piper'] was a celebrated American mental trance medium. Her séances involved communicating messages to sitters from one or more of Mrs Piper's spirit controls. She was investigated extensively over many years by researchers from the American Society for Psychical Research and Society for Psychical Research. Most investigators concluded that her mediumship was genuine. Some sceptics have argued, however, that she may have relied on a combination of muscle reading and cold reading. Stanisława Popielska was a Polish physical medium whose séances involved object movements and ectoplasmic forms. She was investigated by the psychical researcher Baron Albert von Schrenck-Notzing who published photographs showing apparent ectoplasm emanating from the medium. She was subsequently caught cheating and her mediumship is now generally discredited. Anna Rasmussen was a Danish physical medium. Her phenomena included slate writing, electrical disturbances, object movements, raps, and automatic writing. She was investigated by several researchers who considered her mediumship was genuine. Later, however, secret filming showed Anna cheating. 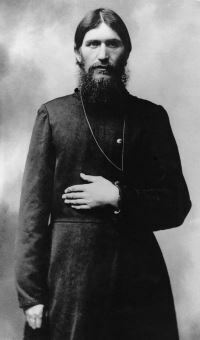 Grigori Rasputin was a Russian mystic, spiritual advisor, and healer. He acquired a position of great influence and power with the Russian royal family after relieving the symptoms of hemophilia afflicting the only son of Tsar Nicholas II. Estelle Roberts (née Wills) was a British spiritualist medium and author. She gave many public demonstrations of clairvoyance and clairaudience. Her séances also often included physical phenomena such as object movements, direct voice, and materializations. She refused offers to be observed or tested by psychical researchers. Jane Roberts was an American author, medium and psychic. In 1963 she started experimenting with a Ouija Board and soon after, while in a trance state, began to hear messages from a discarnate entity named 'Seth'. For the next twenty-one years, until her death, she channelled and dictated a large corpus of New-Age writings known as the 'Seth Material'. Sathya Sai Baba (born Sathya Narayana Raju) was a controversial Indian guru. He is said to have demonstrated a range of 'siddhis' or paranormal abilities, including clairvoyance, bilocation, healing, and materialization. Sai Baba's materializations were generally of sacred ash and small objects such as candy, jewellery or watches. Although no definitive evidence of trickery has come to light, sceptics and magicians presume that these supposed materializations were achieved by sleight of hand. Willi and Rudi Schneider were two Austrian physical mediums. Their séance phenomena included object movements and purported ectoplasmic forms. Both brothers were investigated by several paranormal researchers but no clear evidence of paranormal phenomena was found. Some researchers reported occasions when each was caught cheating. 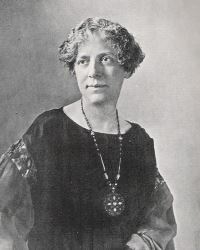 Helen Schucman (née Helen Dora Cohn) was an American clinical psychologist and Associate Professor of Medical Psychology at Columbia University. Between 1965 and 1972 she channelled dictation from an inner voice, later identified with Jesus. Working with Americian psychologist William Thetford, the dictations were edited and published as A Course in Miracles (1975). Commonly abbreviated to ACIM, the book is presented as a self-study system of spiritual transformation. Schucman's role in the writing of ACIM was publicly revealed only after her death. Ted serios was an American psychic known for his apparent ability to imprint mental images onto Polaroid film. While many of these 'thoughtographs' are vague and blurred, several hundred were sufficiently clear to be recognizable. Serios was investigated for three years by psychiatrist and parapsychologist Jule Eisenbud. Eisenbud concluded that the thoughtographs were genuinely paranormal and wrote a book on the case (The World of Ted Serios, 1967). 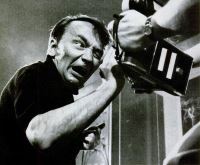 Sceptics have claimed that Serios used a small optical device hidden in a tube (his 'gizmo') that he usually held up to the lens of the camera. Betty Shine was an English clairvoyant, medium and healer. She wrote a best-selling series of books on psychism, spiritual healing, mediumship and the power of Mind Energy. Maria Silbert was an Austrian physical medium whose séance phenomena included raps, apports, object movements, and engravings. She was investigated by several psychical researchers who discovered or strongly suspected cheating. Henry Slade was an American medium who specialized in slate writing, in which spirits would supposedly write messages in chalk. On other occasions he is said to have produced partial materializations as well as object movements and levitations. Investigations revealed that Slade's slate writing involved a simple parlor trick and his reputation as a medium never recovered. Hélène Smith (Catherine-Elise Müller) was a Swiss trance medium. Typically her séances involved automatic writing and speaking in tongues (glossolalia), often claimed to be in the Martian language. In her early career she is also reported to have produced physical phenomena, including raps, object movements and apports. Smith was investigated by Théodore Flournoy, professor of psychology at the University of Geneva. Flournoy concluded that her automatic writing involved fanciful imaginings, often based on forgotten memories from books or other sources (cryptomnesia). He also dimissed the Martian language as a fabrication based on its similarities with French syntax. 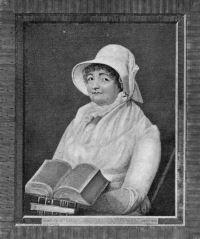 Joanna Southcott was an English visionary and prophetess. About 1792, she started having apocalyptic visions and dreams, and began writing down rhyming prophecies based on her experiences. Although some prophecies were apparently fulfilled, Southcott failed to convince religious leaders and, as a result, had them printed at her own expense. These proved popular and a large 'Southcottian' movement emerged, perhaps numbering 100,000 people at its height. At her death, Southcott left a sealed box of prophecies with instructions that it should only be opened at a time of national crisis, and only in the presence of all the Church of England bishops. In 1927, psychical researcher Harry Price was sent what was claimed to be Joanna Southcott's Box. It was opened, but nothing of significance was found inside. However, Southcottians and some historians believe this was not the true box which, it is claimed, remains, still sealed, at a secret location. Doris Stokes (born Doris Sutton) was a controversial English spiritualist medium and author who achieved fame through television appearances and stage performances. She claimed to be able to speak to the dead and to have assisted in solving murders. 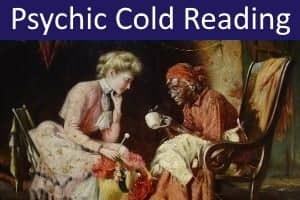 Investigations of her mediumship indicate that she used cold reading methods and regularly relied on prior knowledge of people in the audience (hot reading). Ingo Swann was an American psychic. He is best known for his remote viewing work with the secret Stargate Project (1978-1995) to investigate the possible military applications of psychic abilities that was established by US Army Intelligence in collaboration with SRI International. 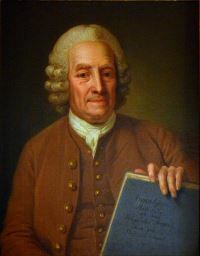 Emanuel Swedenborg was a Swedish scientist, theologian and mystic. In 1741 he began to have revelatory dreams and visions in which he visited heaven and hell and talked with angels, demons and spirits. There are also reports of prophetic experiences. Swedenborg went on to write a series of books describing his revelations and theology. After his death, his writings became the foundation of a widespread Swedenborgian movement and 'New Church'. Swedenborg's teachings, especially his doctrine on the afterlife, are often seen as paving the way for the rise of Spiritualism. Baba Vanga (Grandmother Vanga) was a Bulgarian soothsayer and healer. Born Vangeliya Pandeva Dimitrova, she became blind in childhood after an incident where she is said to have been thrown in the air by a tornado. Following this, she became aware of invisible creatures who passed information to her. She came to prominence during World War II through her alleged powers of healing and prophecy. After the war, she was consulted by various Soviet leaders and politicians. She is said to have predicted many world events, including Stalin's death, the Chernobyl disaster, the break-up of the Soviet Union, and the September 11 terrorist attacks. James Van Praagh is an American psychic, medium, author, and television personality. Sceptics suggest that his psychic readings use a combination of cold reading and prior knowledge of the sitters (hot reading). Mother and daughter Margaret and Helen Verrall were two British classicists and spiritualist mediums whose automatic writings played a prominent role in the series of spirit communications known as the Cross-Correspondences. Chico Xavier was a Brazilian spiritist medium and author. He claimed that his many books were dictated by spirits using 'psychography' (automatic writing). He also wrote thousands of letters, allegedly dictated by deceased persons to their living relatives. Some sceptics have accused Xavier of acquiring prior information about his clients (hot reading). His books, in Portuguese and translations, have sold in the millions.